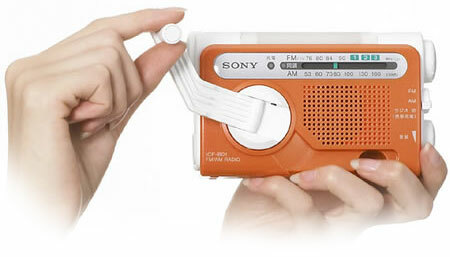 Sony announced the ICF-B01, a hand-cranked portable FM/AM radio that might come in handy this hurricane season. It's battery-powered, but when that internal battery runs down, a minute of cranking gives you an hour of AM reception, 40 minutes of FM and can charge up your cellphone, too. It has an LED light so you can read the instructions on that freeze-dried food, and hey, maybe the cellphones will still be working when the power's out. All this hand-cranked goodness will be available June 10th for $54.